The Screaming Pope: To Be or Not To Be Nothing? To be or not to be nothing is one of the questions that’s addressed by a branch of philosophy known as Noneism. Noneists maintain the view that some entities have no existence. In a review of Graham Priest’s Towards Non-Being (TLS, 2/23/18), Tom Graham indicates that the problem with such a proposition, is that “denying it would be ridiculous in any ordinary context” since there are plainly some things that don’t exist like "unicorns, the largest number, Sherlock Holmes.” Thus Noneists tend to get into trouble. But the kind of protests Noneism has elicited are full of flourishes all their own, as Graham illustrates in the following passage from his review: “A fundamental motivation for the dominant view is that to lack existence, it seems, is to be nothing at all. Things, by contrast, are not ‘nothing’—they are things! If so then ‘being a thing’ and ‘existing’ go hand in hand, and there cannot be ‘things’ that do not exist. 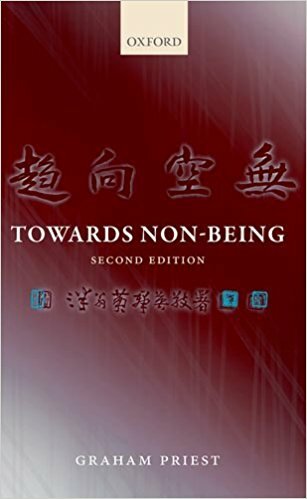 Adherents of this view thus read the noneist’s claim ‘some things don’t exist’ as entailing the self-refuting ‘some things are not things’ and therefore to be self-contradictory.” Wow! Noneism is really something! And any movement that foments such flights of philosophic fancy must be doing something right. What would Noneism have to say about Sartre’s Being and Nothingness or Heidegger's Being and Time. Though “none” and “nothing” are country cousins, probably not a helluva lot.